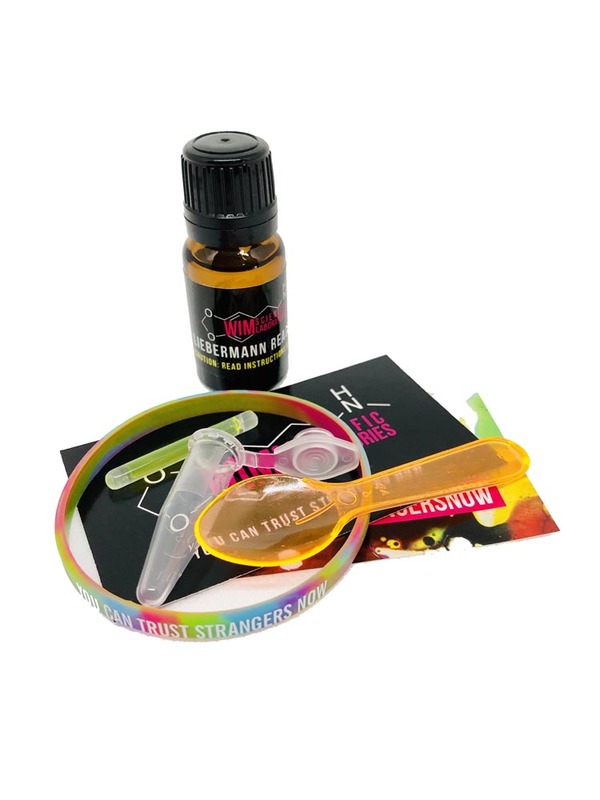 Our Liebermann Reagent kit includes everything you need to test cocaine. 1x (10ml) of Liebermann Reagent – USA factory sealed ISO 9001 Quality Lab Material Certified Dropper bottle. Remove the reagent bottle from the child proof safety container. The packing absorbent can be throw away. Carefully open the Liebermann Reagent Kit Reagent’s factory sealed cap. Add one or two drops of the Liebermann Reagent into the testing vile.